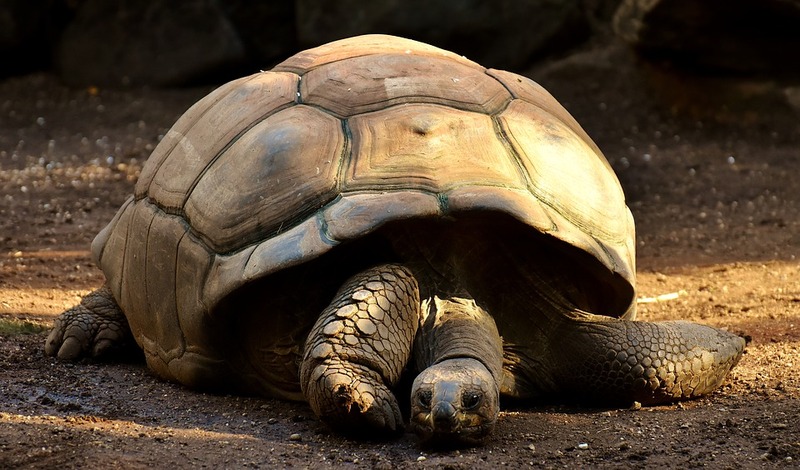 Experience the Galapagos Islands on this voyage through the famed waters of Galapagos amid spectacular landscapes and distinct endemic wildlife that so intrigued Charles Darwin! 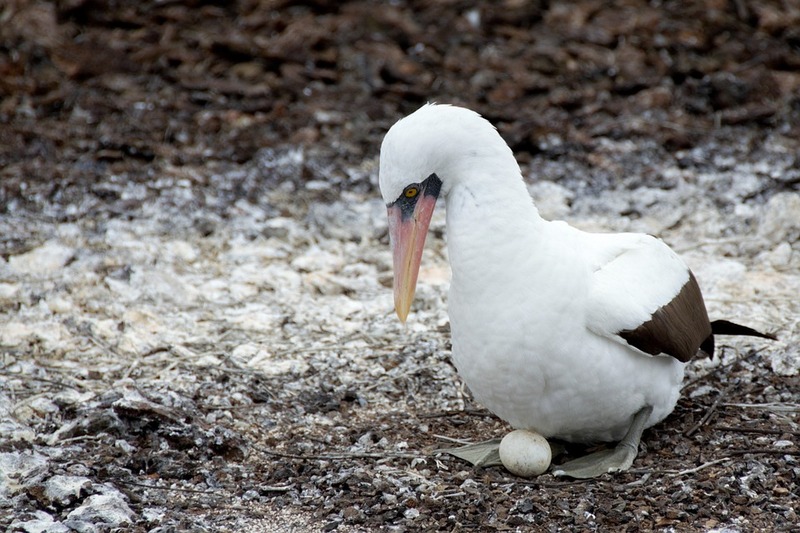 During your intimate Galapagos Islands cruise, you’ll find yourself just inches away from giant tortoises, comical blue-footed boobies, sea lions, penguins, iguanas and many other animals, and you’ll gain an appreciation for how remarkable life on Earth can be. From the spouting whales crossing the Bolivar Channel to the waved albatrosses nesting along the cliffs of Espanola, you'll experience the undeniable wonder of Darwin's Enchanted Isles. The Galapagos Islands are a treasure meant to be experienced with a small group of true nature enthusiasts – not 100 “tourists. The small group size of just 32 aboard the Evolution ensures you enjoy ample time and attention as you explore. 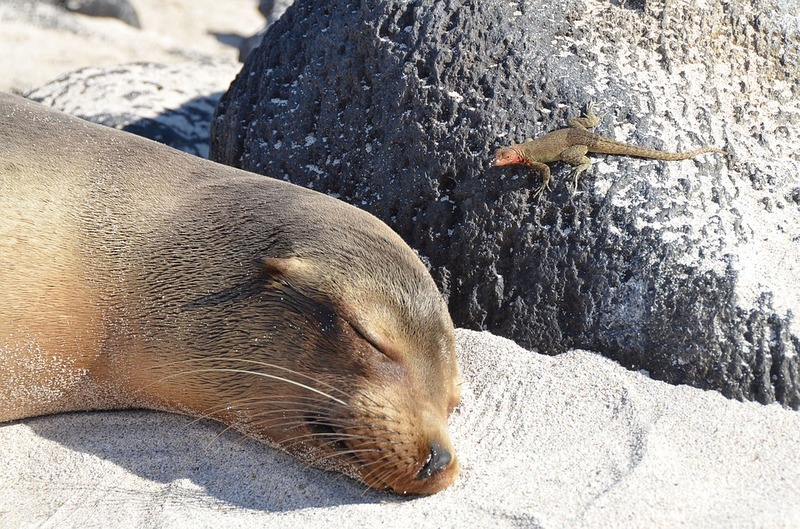 Plus, you don’t have to sacrifice comfort and world-class service to discover the Galapagos. 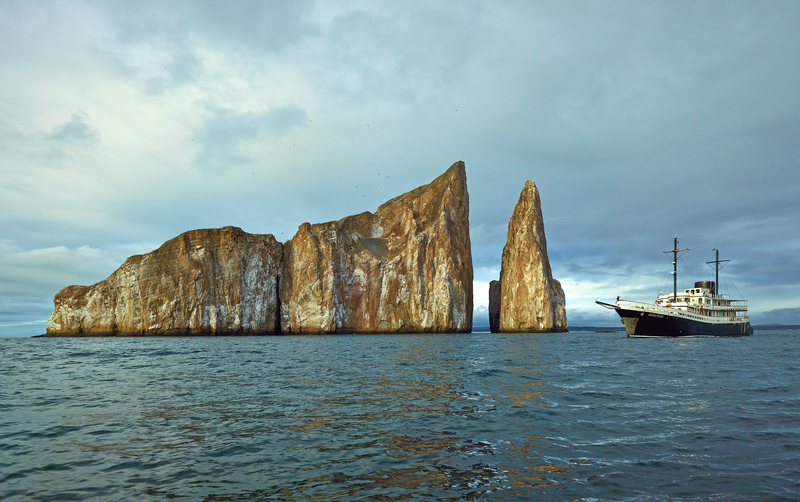 Each day during this Galapagos Islands tour, you “come home” to a comfortable, intimate expedition ship. The Evolution is the perfect haven for relaxing between daily hiking and snorkeling excursions, or for joining fellow travelers for a briefing by our knowledgeable naturalists. 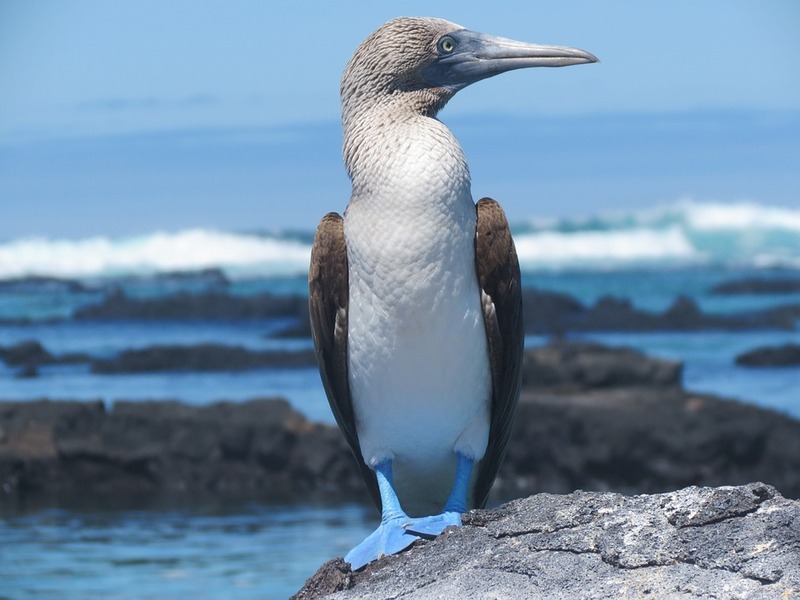 This Galapagos Islands tour offers more than a typical "tourist" overview – you'll be exposed to the greatest variety of wildlife. 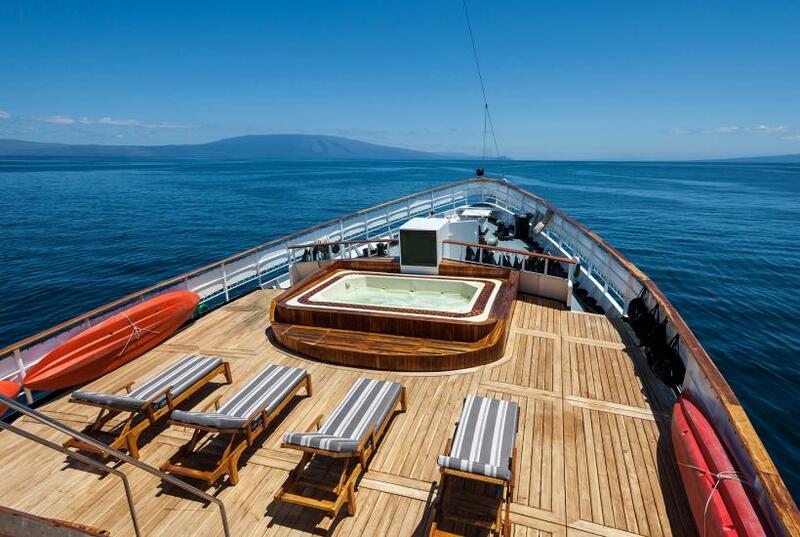 This Galapagos Islands cruise passes dormant volcanoes; lets you snorkel with sea lions; and even includes watching the giant tortoises graze. These are the moments of wonder you expect on this small-ship cruise. 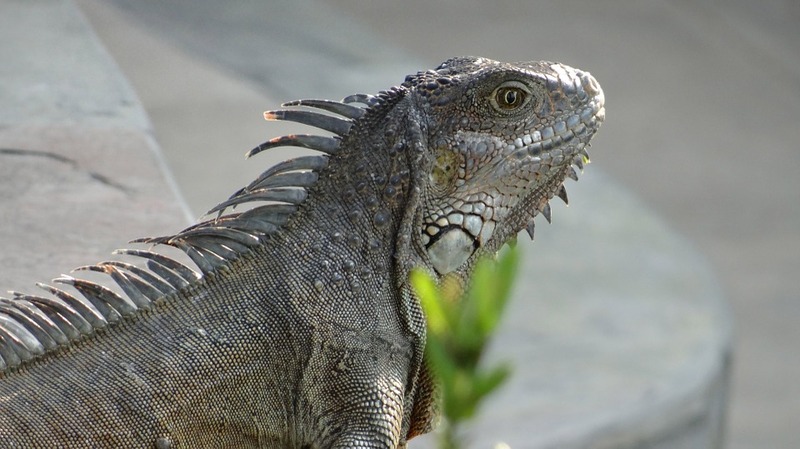 The highly qualified naturalist Galapagos Islands travel guides on this cruise are authorities on the wildlife, history, geography and fauna of the Galapagos Islands. You’ll learn from an expedition leader and local naturalist who are passionate about the islands and licensed at the highest level — Level 3 — by Galapagos National Park. Departure dates available for both 2018 and 2019 - contact one of our Adventure Travel Specialists for more details, pricing, and dates on this wonderful itinerary!